the shop or man cave. Also perfect for the avid angler. If this really wild salmon tries swimming upstream it is going to rust out. Think of the tales you could tell about how you caught this one! 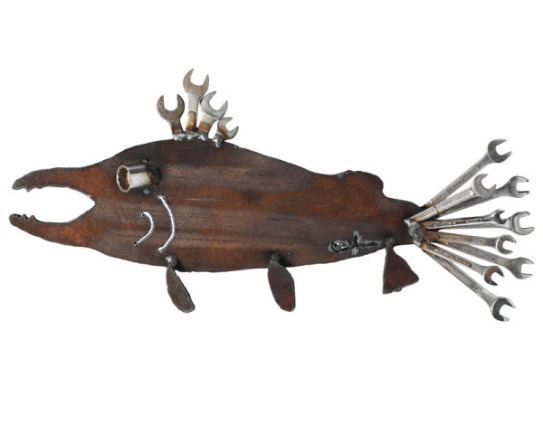 Handmade from reclaimed tools and recycled steel by artist Fred Conlon. Each fish is created separately, so no two are exactly alike. For more information or to order, click here.